Monday Madness: Curiosity killed the chicken? 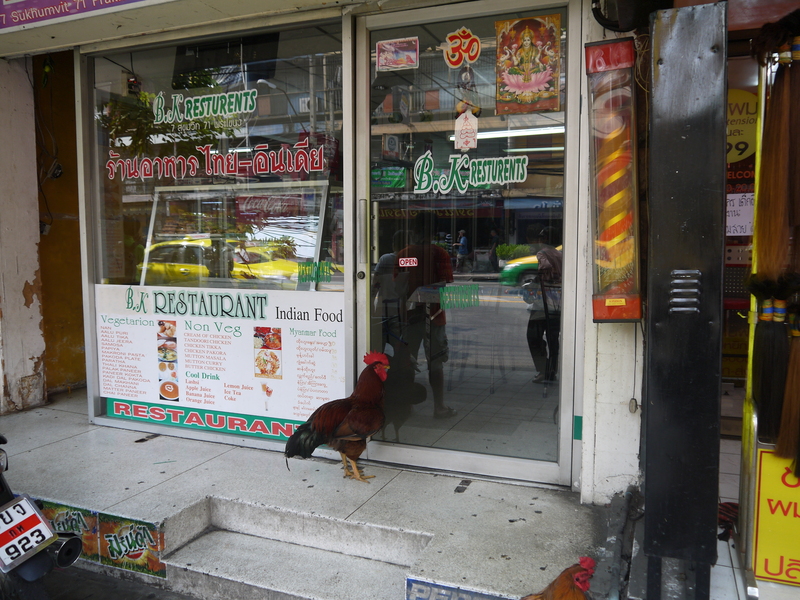 Although local neighbourhood dogs and cats are pretty common in Bangkok, it’s not that often you see other animals, so we were a bit surprised to see a family of chickens waiting outside a local Indian restaurant, on the side of a busy street. 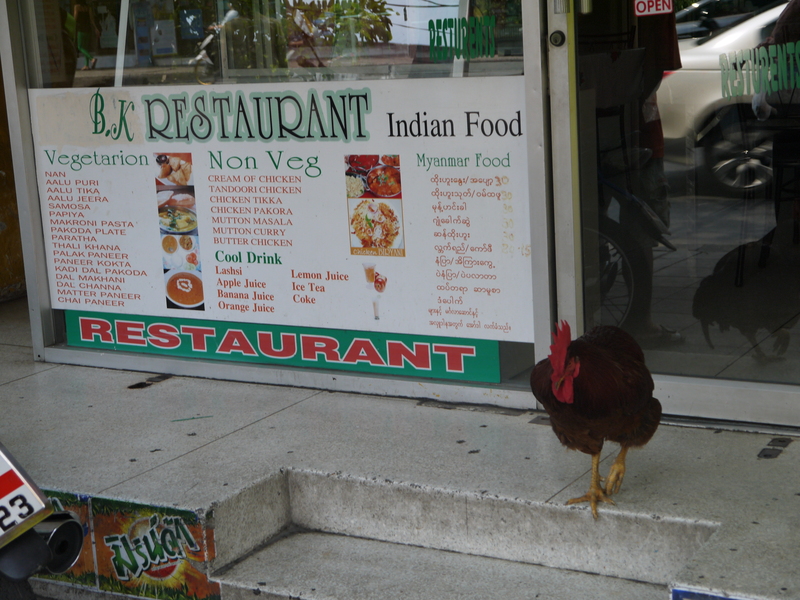 After a few minutes of waiting though this chicken continued on his way -we’re not sure whether he was disappointed with the service having not been let inside, or whether he just saw the chicken curry on the menu! « Food Friday – Fried bananas – the cause of Bangkok’s traffic problems?